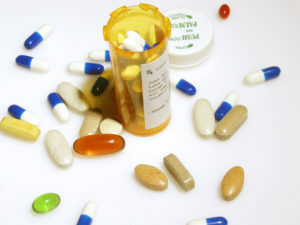 The average fibromyalgia patient takes six to 12 different prescription drugs. Many patients have been sick for a while and have seen many doctors over the years. They are often on a plethora of different medications and don’t truly know which drugs are helping or not. Patients often take something to wake them up, pills to help them to go to sleep, another drug to help calm them down, one to rev them up and even pills to have a bowel movement. Patients are taking so many different medications and oftentimes, the pills don’t help them feel any better. Fibromyalgia patients continue to go back to the doctor every year for their check-ups, and the doctors continue to add more medications in an attempt to help the patient feel better. In actuality, the doctors are only trying to lessen the symptoms and not treat the root problem. The symptoms are warning signs that something is going wrong in the body. If you continue to try to mask the symptoms and don’t deal with the causes, you’re going to eventually have problems. If you’re in your car racing down the freeway and the engine light comes on, you can certainly ignore it. You can cover it up so you couldn’t see it or you can unplug it, but you can get rid of that warning light. You can deal with the symptom so it’s no longer there and it’s not a problem, but what will happen is eventually your car is going to break down, sooner or later. The engine light coming on is a warning sign. High blood pressure is a warning sign. It doesn’t mean that you have a high blood pressure drug deficiency. The symptoms are warning signs that something is going wrong in the body. If you continue to try to mask the symptoms and don’t deal with the causes, health problems will arise. If you’re in your car racing down the freeway and the engine light comes on, you can ignore it. You can cover it up so you can’t see it or you can unplug it, but warning light will remain on. But eventually your car will break down. The engine light is a warning sign like how high blood pressure is a warning sign for other health issues. Drugs can mask the symptoms, like covering up an engine light, but won’t fix the problem. Over the years, I have helped patients to get off their drugs over a period of time. However, I don’t recommend to stop taking your drugs in the beginning because it can cause stress on the body. Fibromyalgia bankrupts your stress-coping chemicals, which makes handling stress for difficult. Ideally, you should start taking the supplements I recommend, and then work with your doctor to wean off one medication at a time once you start feeling an improvement in your health. For some people, it may take longer than others to wean yourself off the drugs. I look at the patient’s medications that may cause more harm than good. Many medications have many side effects, and it can be hard to tell if the medications are causing additional fibro symptoms or actually helping. Drugs for fibromyalgia can contribute to fibro fog, achy muscles, poor sleep, anxiety, depression, irritable bowel and stomach problems, restless legs. I encourage you to go to the Mayo website and look on there and see what the potential side effects are for your medications. In my practice, I see many patients have issues with high blood pressure. High blood pressure can result from too much stress, or result from genetics. Most often, it’s because of a poor diet and being overweight. Low metabolism can also cause weight issues, which is often a symptom of adrenal fatigue, or a problem with their thyroid that hasn’t been properly diagnosed. Many patients I work with are taking blood pressure medications, including beta blockers like Tenormin, Atenolol, Lopressor, Inderal. Patients may also take these to help with migraine headaches. The problem is, these drugs have all sorts of potential side effects including fatigue, insomnia, depression, drowsiness, tingling in the hands and feet, problems with upper respiratory infections, bronchitis, wheezing, increased risk of going on and developing chronic bronchitis and asthma. These drugs reduce the good HDL and they increase the bad LDL cholesterol. They also increase triglyceride or blood fat. Because of those factors, patients who take these oftentimes see their cholesterol levels go up and then they’re put on statin medications, so one drug leads to another. They also deplete CoQ10 which is the spark plug of every cell. When you do that, you find that your cellular energy decrease and that can create problems. Calcium channel blockers like Procardia, Verapamil, Norvasc, Exforge, are used to treat mitral valve prolapse as well as high blood pressure. The problem is calcium channel blockers increase the risk of heart attack and stroke by 5-fold, so patients are 500 times more likely to have a heart attack or stroke while taking these medications. You’re 50% more likely to die from taking a calcium channel blocker than from taking a beta blocker or diuretic. The side effects of these medications include fatigue, abdominal swelling, bloating, pain, food retention, reflux, shortness of breath, difficulty swallowing, numbness in the hands and feet, chest pain, slow rapid heartbeat, dizziness and increased risk of cancer. They also deplete potassium, individuals may experience muscle cramps. The ACE drugs that are used for high blood pressure like Lisinopril, Vasotec, are probably the safest medications with the least side effects. They’re known as ACE drugs because they inhibit the Angiotensin Converting factor. While they may have the least side effects, they still can cause a dry cough, GI problems, bloating, gas, irritable bowel, stomach pain, numbness and tingling in the hand and feet, joint pain, dizziness, and fatigue. They also deplete the mineral zinc. Zinc is essential for your immune system and thyroid. When you have a zinc deficiency, you may have problems with low immune function. The Angiotensin II drugs like Diovan, Benicar, Cardace, Cozaar, Avapro, have potential side effects including headaches which are very common. Other side effects include upper respiratory infection, cough, dizziness, chronic sinus infections, sinusitis, sore throat, inflammation, diarrhea, fatigue, back pain, joint pain, muscle pain, and viral infections. You may be thinking, “oh my gosh, all these medications have these potential side effects!” But the truth is, they certainly do. If you look at the diuretics like Aldactone, Spirolactone, Lasix and Bumex, they deplete several key nutrients including B1 thiamine. B1 assists with mental clarity and high doses of B1 in your system helps with low moods. If B1 levels start to dwindle, it can cause not only fatigue and mental clarity issues but also anxiety and depression. These medications can deplete potassium and magnesium. Magnesium is your stress coping chemical. It helps with 300 different bodily processes. When magnesium is depleted, you have problems with mitral valve prolapse, high blood pressure, diffuse achy muscle pain, muscle spasms, restless legs syndrome, constipation and so on.. They also can deplete zinc and Vitamin B6, Vitamin C and folic acid. Vitamin B6 and folic acid are two vitamins needed to help combat mood disorders. The body needs both of them to help convert certain vitamins and minerals into the happy hormone. If you’re deficient in them, you’re going to run the risk of having problems with mood disorders. Earlier, I mentioned the statin medications. These are lipid lowering medications like Crestor, Lipitor, Zocor, Vytorin. These medications are associated with fatigue, muscle pain, anxiety, depression, dementia, poor memory, dizziness, blurred vision, muscle death – rhabdomyolysis, and renal impairment. Statin drugs cause a 15% increased risk of polyneuropathy, nerve damage in the first year of use, and 26% increased risk in the second year of use. Polyneuropathy can cause weakness, pain, tingling and burning in the hands and feet, difficulty swallowing, voice changes, muscle contractions, muscle atrophy, joint pain, bowel and bladder dysfunction, suicidal tendencies and depression. Many people who start taking these medications complain to the doctor that it makes them feel tired or they start to have diffuse achy muscle pain, especially in the lower extremities and their legs on exertion. Oftentimes the doctor then will change their medication but they’ll keep them on a statin drug. The patient will share with them that they feel better now that they’ve made the change to a different statin drug. The thing is, all those medications are very similar. If you have a reaction to one, the same statin side effects may not be as pronounced on the second one. But it still may be causing problems because they’re in the same family. The medications do is a very good job of lowering your cholesterol. However, what they don’t do is decrease your risk of heart attack and stroke, at least by much. If you’ve not read my book Heart Disease: What Your Doctor Won’t Tell you, I encourage you to pick it up and read it. The book will share with you the studies out of JAMA, the Journal of American Medical Association, New England Medical Association, the reports from the Lancet from the UK. Cholesterol medications decrease your risk of heart attack and stroke by 1% if you’re under the age of 37 and you’ve already had one episode of heart attack or stroke. For those who don’t fall under those parameters, it really help much, except increase the risk that you have side effects and poor health from taking those medications. Many patients that are taking Coumadin or Warfarin, those medications can cause internal bleeding, loss of consciousness, headaches, joint pain, muscle pain, abdominal pain, constipation, weight gain, nosebleed, edema and nausea. Patients often go on these medications as a preventative, and it’s oftentimes not warranted. This information isn’t intended to scare you but to educate you. You should think about about the medications you’re taking and how they affect your body. If we look at the mood disorder medications which most every fibromyalgia patient has either been on or has been encouraged to get on, we see these medications have potential side effects. If we look at the Tricyclic antidepressants, like Elavil, Trazodone, Pamlor, Nortryptiline are still used but more often prescribed as a sleep aid rather than for mood disorders. These meds are the older antidepressants and their side effects include fatigue, morning hangover, weight gain. Specifically, Elavil can cause people to pack the pounds and experience low libido, tremors, tardive dyskinesia when we get the shakes, convulsions, blurred vision, constipation, confusion, problems with memory loss, muscle spasm. They deplete melatonin which is your natural sleep hormone. In addition, deplete Vitamin B2 or riboflavin which is needed to make the happy hormone. It’s ironic that you’re taking an antidepressant, they can actually deplete one of the B vitamins that help you make the happy hormone in order to make you not feel depressed. They also deplete CoQ10, like the lipid lowering medications, which then can create muscle spasms, tingling in the hands and feet and so on. If you look at the SSRIs, a new generation antidepressant medications like Paxil and Prozac, Celexa, Zoloft, Cymbalta, Effexor, Savella, Pristiq, these medications are no better than a sugar pill. A meta-analysis found that 70% of the time, patients taking these medications were no better than patients taking a sugar pill. What that tells us is these SSRI medications probably aren’t doing much to help, and the reason why is because they’re like a gasoline additive. These medications don’t produce serotonin or norepinephrine. They allow your brain to hang on to the serotonin or norepinephrine already in your body, the two feel good brain chemicals. If you’re deficient from these chemicals, then there’s nothing to reuptake. If you’re using gasoline additive in an empty gasoline tank, it’s not going to do much. The potential side effects include weight gain, headaches, muscle spasms, weakness, nervousness and anxiety. It’s ironic that these medications are given out for anxiety and depression, but can actually make anxiety and depression worse. They can also cause chest pain, decreased libido, problems with your sleep, upset stomach, bloating, gas, hair loss, bronchitis. Not to mention, they interfere with thyroid function, cause low blood sugar and even deplete your natural sleep hormone melatonin. The longer you’re on these medications, the more likely you are to have a deficiency in melatonin. Deep restorative sleep is certainly the first hurdle that one has to get over to be able to reverse your symptoms of fibromyalgia and getting on the path to better quality of life. In my experience at the clinic, I see many patients are taking benzodiazepines. They may be taking them for the anxiety to calm them down. Frequently, I see patients taking them after participating in a sleep study, were told they’re not going into deep sleep and are suggested to take Klonopin. However, benzodiazepines do not put you into deep restorative sleep. They simply knock you out, but you don’t go into delta wave sleep. 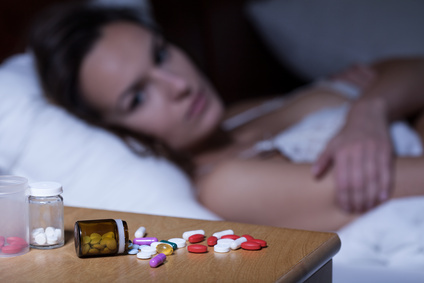 In reality, you are really not any better off taking these medication for your sleep. Besides being prescribed these medications for sleep issues, many patients take them for Restless Legs Syndrome or for pain. These medications are often given out like candy. The problem is, benzodiazepines like Restoril, Klonipin, Valium, Ativan, Xanax are medications have numerous side effects. One of the most alarming side effects is dependency. You can become dependent on them within 2 weeks, and struggle to get off them. Your body becomes dependent on a medication that can actually cause you to have seizures, depression, fatigue, amnesia, dizziness, mental clarity issues, fluid retention, poor sleep, low blood pressure, tremors. In addition, 40% of adults aged 60 or older who are prescribed these medications develop tremors. Oftentimes these tremors never go away. It is tragic to see doctors prescribing these medications so routinely by doctors but don’t explain the potential side effects. Headache, anxiety, depression, fatigue, poor sleep, mental clarity issues, ringing in the ears, nausea, all these things are associated with the benzodiazepines. I realize there are people listening to this who take these medications and are saying, “Dr Murphree, I couldn’t live without these medications.” I would ask you if the negative side effects from these medications are worth further deteriorating your health. These medications may allow you to cope and they may tone down your symptoms, but there’s a price to pay for taking these drugs, and the price you’re paying is longevity and vitality. I want to clarify that I’m not telling you to stop any of these medications and some of you can never come off the benzodiazepines in particular. Instead, I want you to change your mindset, your paradigm. You need to start thinking differently, because health does not come out of a prescription pill bottle. No one has a Xanax deficiency or Klonipin deficiency. The questions you want to ask yourself are, why am I so anxious? Is it the way I’m born? Or is it because I’ve depleted my stress coping chemicals because I’ve gotten under too much stress over the years? If you don’t sleep, your thyroid isn’t working properly, and your adrenals are not working, then perhaps you to find out more about your body and fix the root cause of the issues. With high doses of the right vitamins, minerals and amino acids, your body can make the necessary stress coping chemicals so you don’t need Xanax. I want you to think and treat your body in a healthy manner, instead of just going to the doctor who tells you “try this drug.” You may not feel better and go back to be told, “Let’s try this instead.” This cycle continues over the years. Soon enough, 10 years will go by and before you know it, you’re on a dozen different drugs. You may not even know what you’re taking. You don’t know what they’re for and you don’t even know if they’re helping or not. You don’t want to be in that situation. Now we see patients who are on the atypical antidepressants which really alarm me, such as Zyprexa, Seraquil, Abilify. Patients are now being put on these medications in addition to antidepressants. These medications cause tremors almost right away for some people, increased risk of suicide, insomnia and massive weight gain. In some cases, some people have gained 40 pounds in a couple of months. Neuroleptic malignant syndrome which is rare and fatal, but occurs in 1% of treatment patients. However, fatigue is the most common side effect. You almost feel sedated and you start feeling fog in your mind. It is a challenge to think clearly. Unfortunately, that’s what these medications do. It can cause depression even though they’re recommended for depression. They can also cause problems with your stomach, pharyngitis, anxiety, headaches while depleting melatonin and vitamin D. Patients who take these oftentimes gain so much weight, it can be shocking. Then, they spend years trying to get the weight off even when they come off these medications. I have a lot of patients are taking stimulant medications. The problem with that is again, not to sound redundant but no one has an Adderall deficiency. You have no energy, you can’t get out of bed and you can hardly get off the couch, but why is that? It’s not because you have an Adderall deficiency but most likely because you haven’t slept well in 5 years. The question is why aren’t you sleeping? Many individuals experience fatigue all day, but when catch a second wind when trying to go to bed. The body is waking up when you should be going to bed. That’s the problem is the body is depleted of the stress coping chemicals that allow one to get into deep restorative sleep. We’ve need to fix that. I don’t suggest taking Adderall because Adderall actually decreases your stress-coping chemicals even faster, and you go further and further into debt. It’s almost like you go into bankruptcy over and over again when you take these medications. The side effects include insomnia, Tourette’s syndrome, nervous tics, tremors, rapid heartbeat, increased blood pressure, agitation, aggression, psychosis, problems with anemia, liver dysfunction, seizures and headaches. If it’s bad enough, you can go into problems with Addison’s disease where you have adrenal failure. After years and years of stress, eventually your adrenal glands can’t keep up with demand so they quit working like they’re supposed to. To me, it’s lazy medicine because the doctor doesn’t want to take the time to figure out what they can do to help the patient have more energy. They just want to pacify them and give them a pill to have more energy. The problem is, there are consequences to these medications. Fatigue could be caused by a low thyroid, and Adderall wouldn’t be the way to address the problem. In about 60% of patients that I work with low thyroid have never been properly diagnosed, or have never been properly treated. They’ve been on medications that don’t work, or they’ve never had the right blood test to show that they actually do have a problem with low thyroid. Because of that, you have these low energy states. It could be because you’ve got low thyroid. I see that about 60% of patients that I work with have low thyroid that’s never been properly diagnosed, or hasn’t been properly treated. They’ve been on medications that don’t work, or they’ve never had the right blood test to show that they actually do have a problem with low thyroid. We also look at things like Lyrica, Neurontin … those medications are associated with all sorts of different side effects. Some patients on Neurontin and Lyrica can experience weakness and weight gain. Certain patients may gain 10 pounds a month. In addition, patients may start experiencing fluid retention, which leads to swelling in your hands and feet, blurred vision, trance like feeling or “feeling out of it,” anxiety, depression, muscular in-coordination and balance issues. It can interfere with your sleep so you’re not getting into deep restorative sleep. It can cause tremors, muscle aches and pains, memory loss, constipation, double vision, problems with macular degeneration. 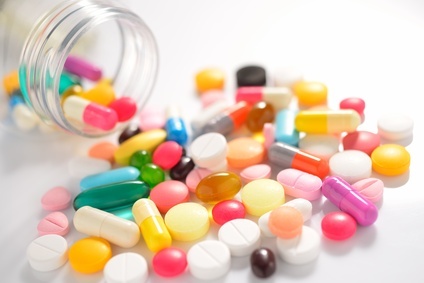 The bottom line is that all sorts of things can occur to the body when on these medications. It’s safe to say I’m not a fan of these medications at all. Studies show that Neurontin and Lyrica only work on 30% of the patients that take them. Of those 30%, less than 50% say that it has reduced their pain. The problem is those medications have become the go-to medications that doctors recommend for fibromyalgia. In my opinion, it’s a recipe for disaster. Almost everybody with fibromyalgia is taking sleep medications because that’s the number one issue that drives their fibromyalgia. Many individuals take Ambien or Lunesta, and those medications cause short term memory loss, flu-like symptoms, muscle aches and pains, fatigue, diarrhea, anxiety, depression, in-coordination, problems with their balance, joint pain, upper respiratory infections, sore throat, urinary tract infections and heart palpitations. Ambien and Lunesta’s side effects really are a mirror image of fibromyalgia. Do the flu-like achy muscle pain, fatigue, brain fog, low moods, muscle pain sounds like fibromyalgia? We also know that sleep medications increase your risk of all sources of mortality like smoking a pack of cigarettes a day. That’s how dangerous they are for you to take on a consistent basis. It’s not something that you want to be on if you can figure out another way to do it. A lot of patients with fibro have GI disorders, such as IBS, reflux, bloating, gas, indigestion. Many people take Nexium, Aciphex or Prevacid or Prilosec. The problem with these acid pump inhibitor drugs is they block the absorption of zinc, folic acid, B12, calcium, magnesium and iron. If you get a folic acid deficiency, you’re really at risk of developing mood disorders and fibro fog because folic acid is one of the most powerful anti-anxiety medications out there, next to DHEA. It may be one of the most potent antidepressant; it stacks up to where folic acid actually works better than antidepressants alone. You certainly don’t want to be depleting those vitamins and minerals. They are necessary to help you combat anxiety and depression, senile dementia, problems with fatigue and anemia. If we look at Tagamet and Zantac, the potential side effects of these medications include confusion, hallucinations, sore throat, slow, fast or irregular heartbeat, weakness, lethargy and bruising. Diabetic medications like Avandia and Actos have potential side effects including upper respiratory infections, headaches, sinusitis, pharyngitis, problems with your stomach, muscle pain, anemia, fluid retention, weight gain, increased risk of osteoporosis. 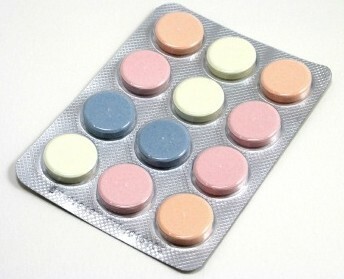 Avandia increases the risk of heart attack and stroke by 42%, and doubles the risk of heart failure. Actos raises the risk of heart failure by 40. Diabetics have an increased risk of having a fatal cardiovascular event. However, many doctors prescribe medication to treat type 2 diabetes that actually increases the risk of heart attack and stroke. It makes no sense to prescribe these drugs and I’m sure it makes no sense to you when you hear that. These medications are not the answer. At the clinic, we have a lot of patients who take Dibeta or Glucotrol, and these meds will deplete CoQ10 which can lead to muscle spasm, problems with low energy states. These medications are not without risk, that’s for sure. I’m not trying to get you to stop your medications. What I’m doing is to get you to learn more about your medications. Are they in fact helping you or are they hurting you, and that’s a question that only you can answer once you start doing the research and then working with a functional medicine doctor who specializes in fibromyalgia. Once again, I’m not trying to get you to stop your medications. What I’m doing is to inspire you to learn more about your medications. Are they in fact helping you or are they hurting you? That is a question that only you can answer once you start doing the research and working with a functional medicine doctor who specializes in fibromyalgia. Many of you have not been well for a number of years, and you’re finally sick and tired of being sick and tired. It can be discouraging to find somebody to help you feel healthy again and not just be prescribed one drug after the next. I know many of you ask yourself, is this going to be a good day or a bad day? Am I going to be able to get out of bed? Am I going to be able to go to work, to socialize and if I do, what’s the price that I’m going to pay? Am I going to be in a flare-up for the next 2-3 days? You get to the point where you withdraw from life and you get to where you’re almost housebound. I understand how life can feel too stressful and sometimes it’s just too much effort to put your clothes on and go to the grocery store. That is a terrible state to be in, that’s not what God intended and that’s not what life is about. It’s about having vitality. It’s not about breaking down when you’re 50 or 60 and taking dozens of drugs that compromising your moods, mental clarity and your ability to interact with life. I suggest you to get a copy of the Treating and Beating Fibromyalgia and Chronic Fatigue Syndrome book available in many book stores throughout North America. I encourage you to read the book. In addition, you can go to the TreatingandBeating.com site and watch the free videos, read the articles and learn more about the protocols. If you’re ready and you want someone to work with you one-on-one, then learn more about my phone consults on the TreatingandBeating.com site. Everything can be done remotely, the blood work can be done in your town, the test kits can be ordered and sent to you so you can send those in. Everything can be done by phone. If you’re looking for somebody in your area to work with them face to face, I certainly understand that. I have a site, FunctionalFibroDoctors.com, where I have trained other doctors to use my protocols. I’ve been doing seminars for both medical doctors, naturopaths and primarily chiropractors who are trained in functional medicine for the last dozen years. You can go to FunctionalFibroDoctors.com to see if there’s a doctor in your area. Don’t settle or just cope with life! It’s time to be proactive and do something and actually feel good again. If you doubt that you can, take a look at the testimonials on my TreatingandBeating.com site. You’ll see and hear from patients who were just like you are now, and now they’ve gotten their life back, so it can be done … it certainly can. You can go to FunctionalFibroDoctors.com to see if there’s a doctor in your area. For heaven’s sake, don’t settle. It’s time to be proactive and do something and actually feel good again. If you doubt that you can, I would encourage you to look at the testimonials on my TreatingandBeating.com site. You’ll see or hear from patients who were just like you are now, and now they’ve gotten their life back, so it can be done … it certainly can. Could These Drugs Make Your Fibromyalgia Worse?